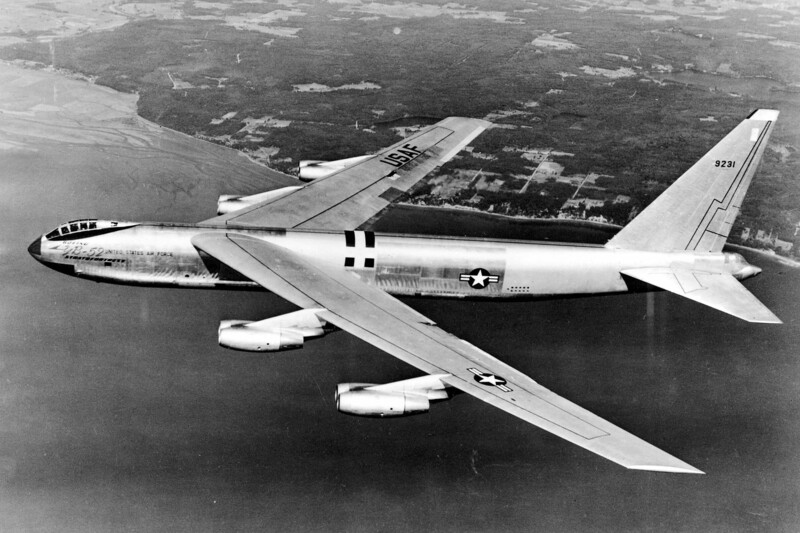 The U.S. Air Force contracted 62 B-52H Stratofortresses, serial numbers 60-0001 through 60-0062, on 6 May 1960. 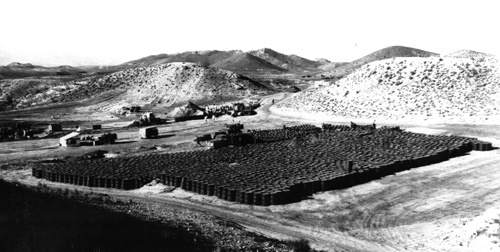 A second group of 40, serials 61-0001 through 61-0040, were ordered later. 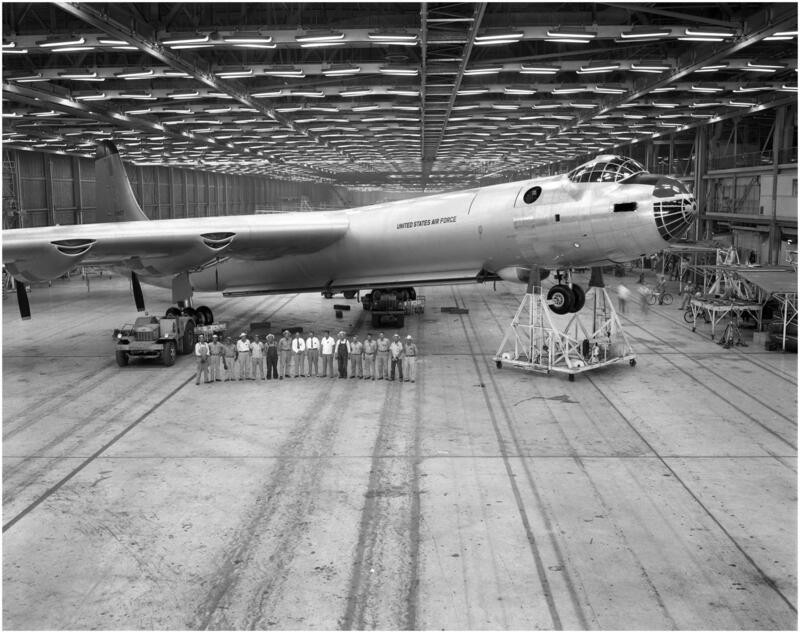 All were built at the Boeing Wichita plant. 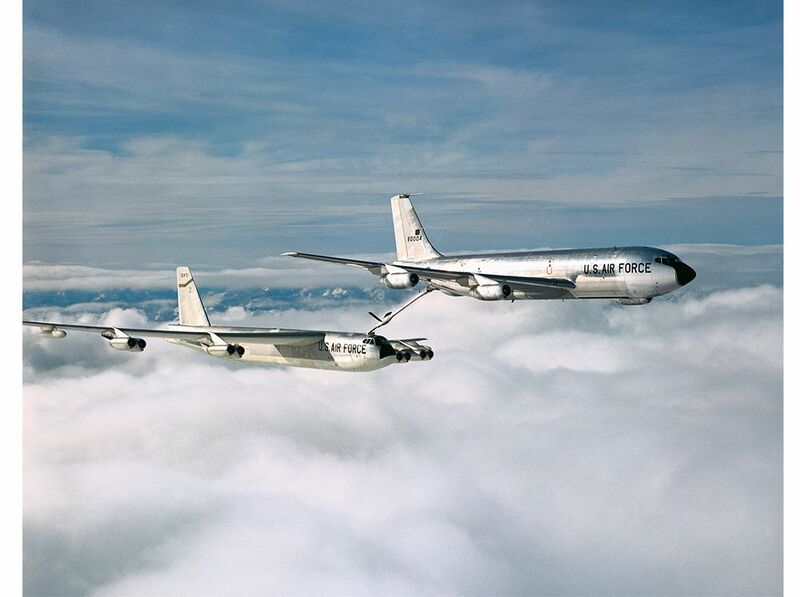 A fourth source identifies the aircraft in the photograph above, Boeing B-52H-135-BW Stratofortress 60-0006, (Boeing serial number 464-371) as the first B-52H to fly. The existence of a nice aerial portrait suggests that this may be correct. 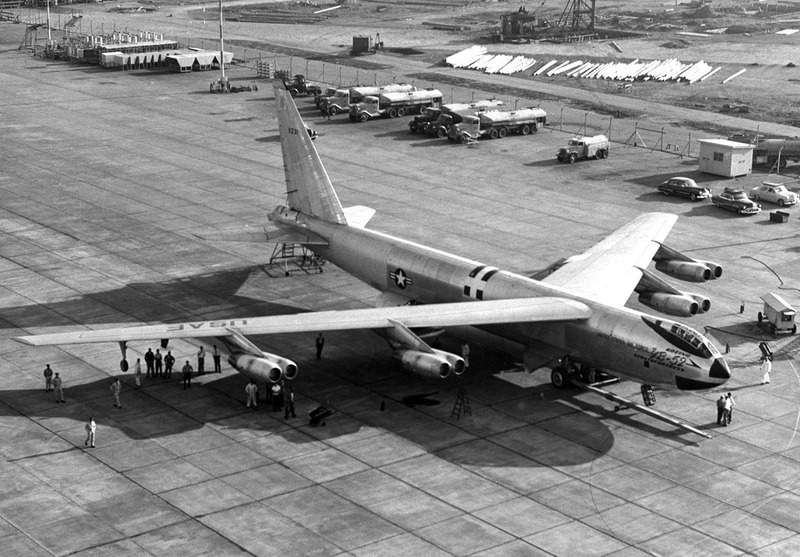 The B-52H, like the B-52G, is a re-engineered aircraft, structurally different from the XB-52, YB-52, and B-52A–B-52F Stratofortress variants. 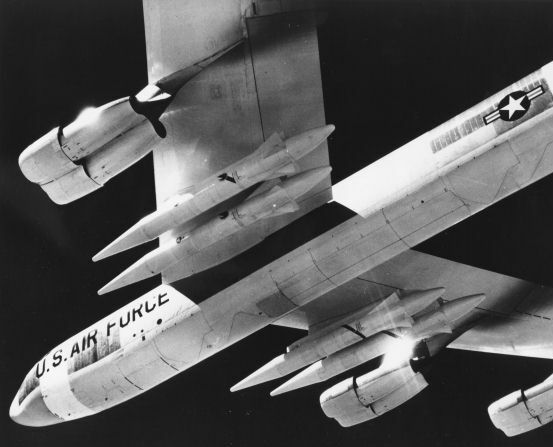 It is lighter, carries more internal fuel, giving it a longer unrefueled range, and is strengthened for low-altitude flight. 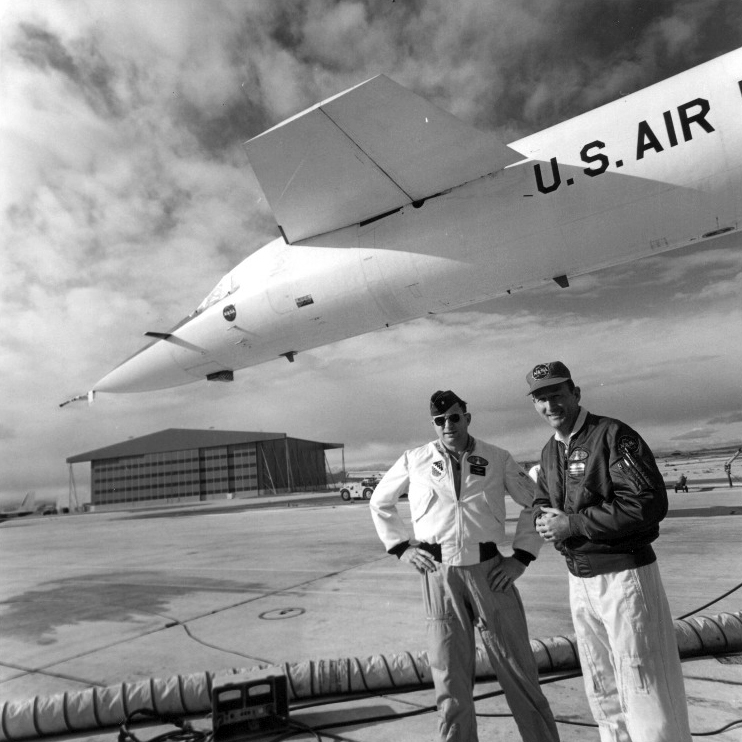 The shorter vertical fin is intended to prevent the losses caused by the original tall fin in turbulent air. 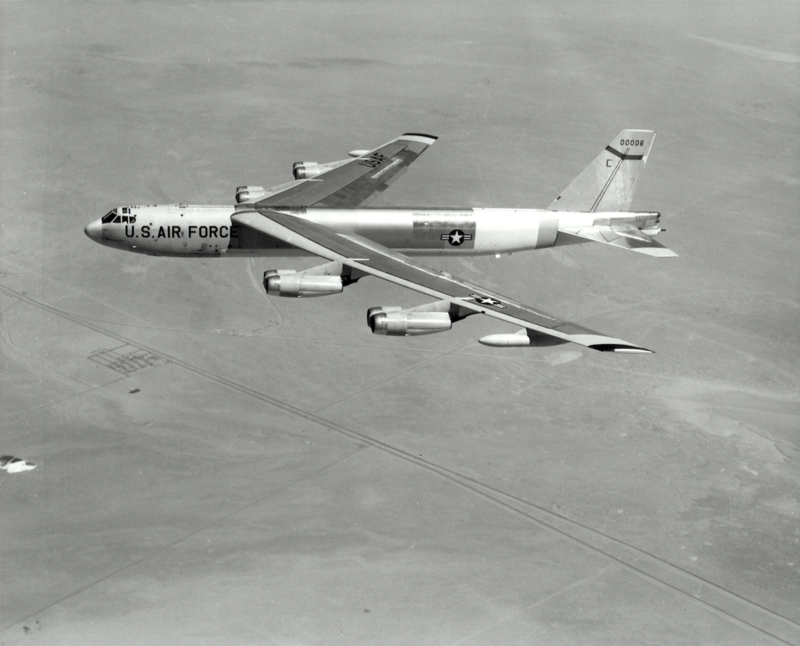 The B-52H is equipped with quieter, more efficient turbofan engines. 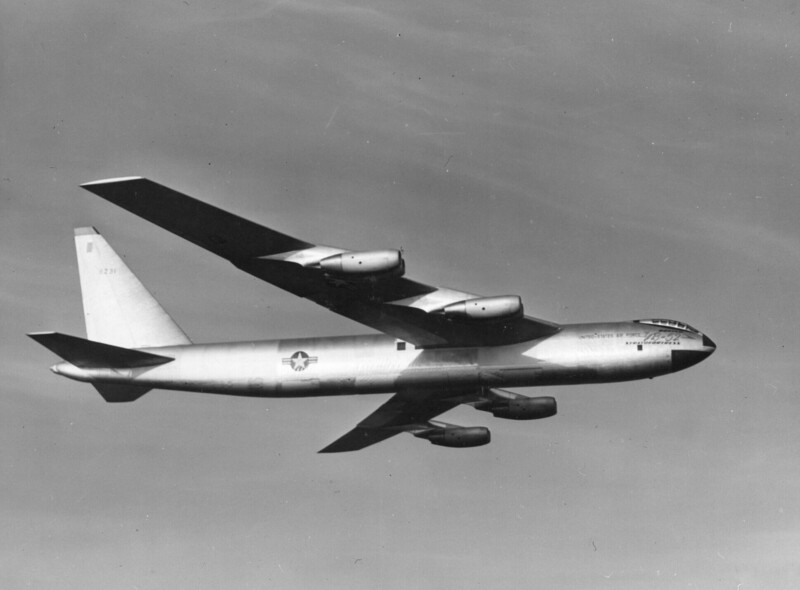 The B-52H is a sub-sonic, swept wing, long-range strategic bomber. 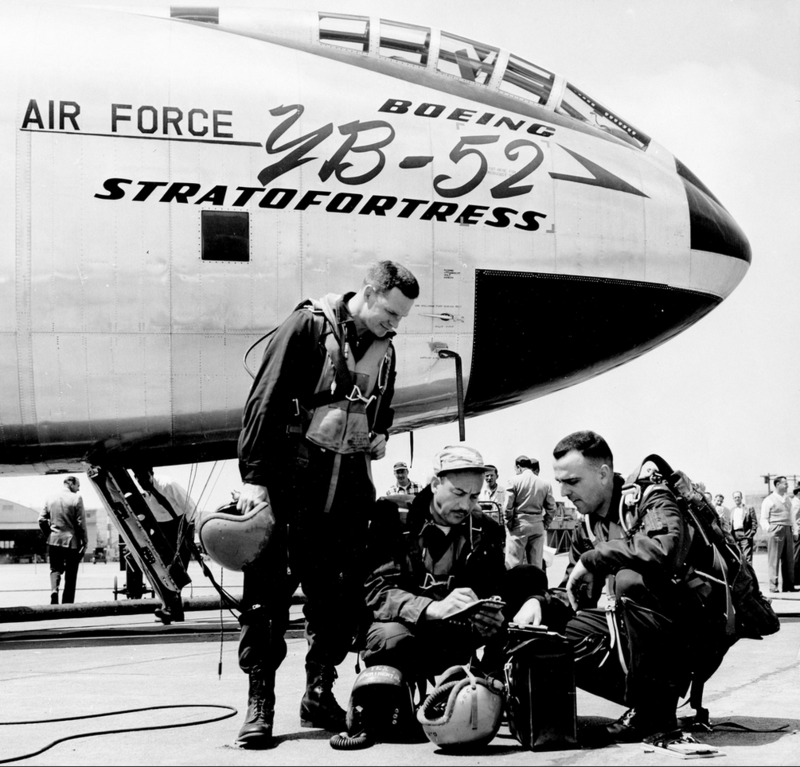 It was originally operated by a crew of six: two pilots, a navigator and a radar navigator, an electronic warfare officer, and a gunner. 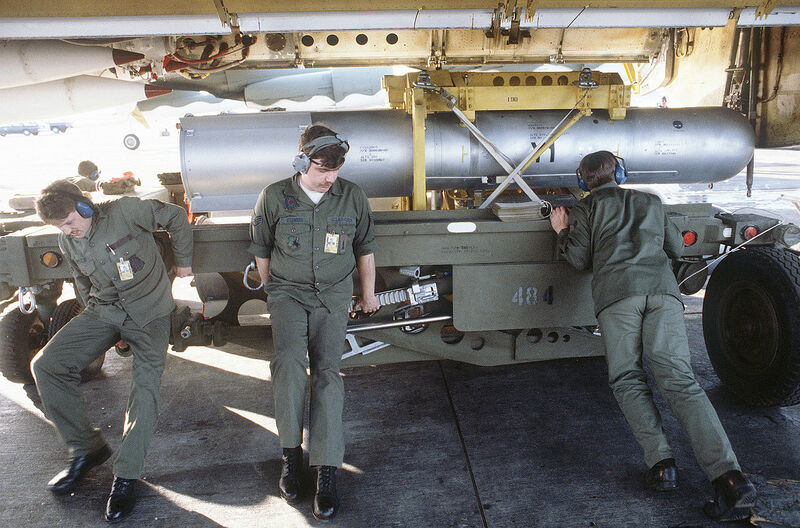 (The gunner was eliminated after 1991). 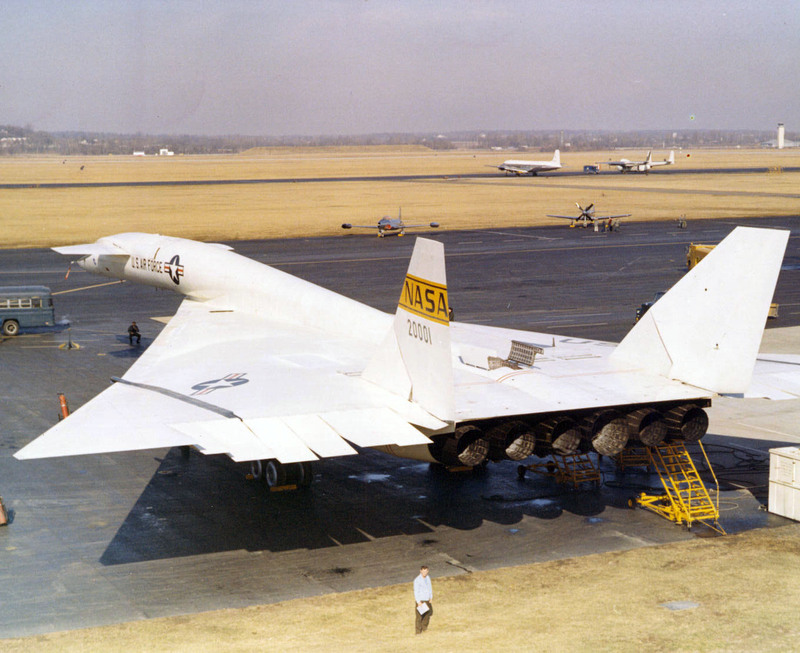 The airplane is 159 feet, 4 inches (48.565 meters) long, with a wing span of 185 feet (56.388 meters). It is 40 feet, 8 inches (12.395 meters) high to the top of the vertical fin. 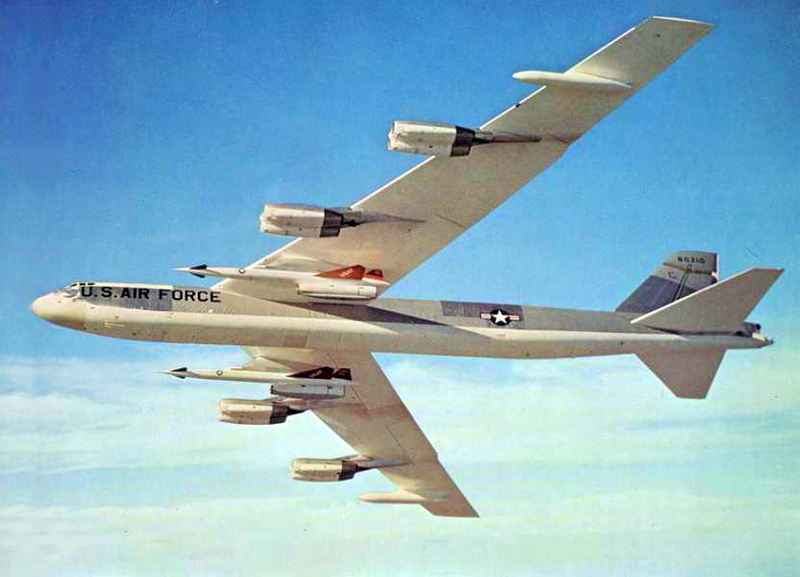 The B-52H uses the vertical fin developed for the B-52G, which is 22 feet, 11 inches (6.985 meters) tall. 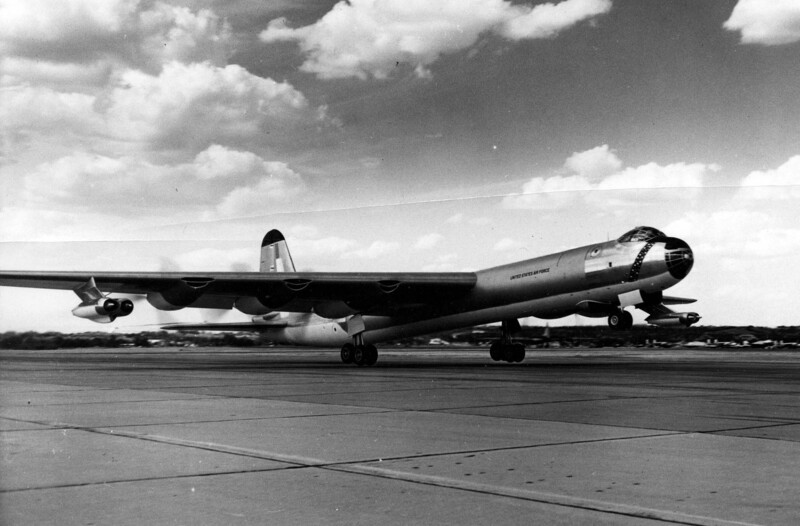 This is 7 feet, 8 inches (2.337 meters) shorter than the fin on the XB-52–B-52F aircraft, but the fin’s chord is longer. 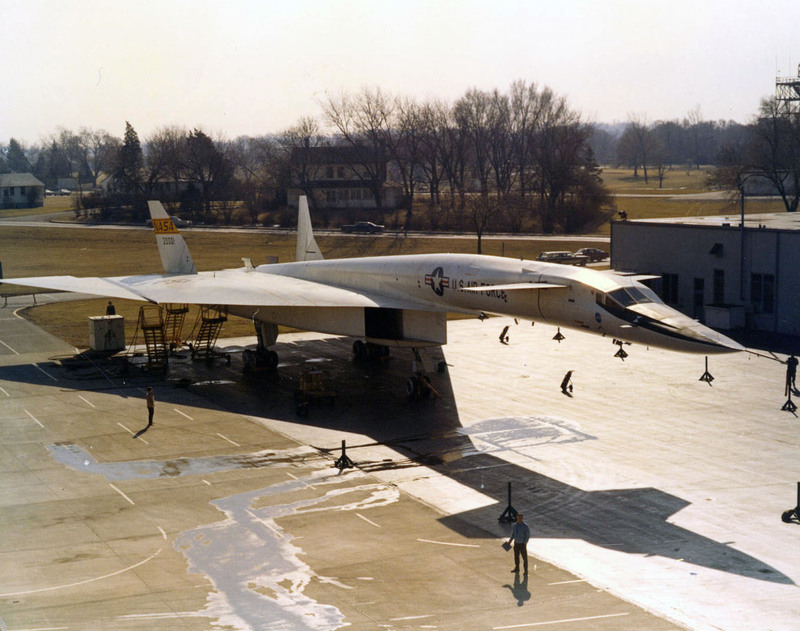 The bomber has an empty weight of 172,740 pounds (78,354 kilograms) and its Maximum Takeoff Weight (MTOW) is 488,000 pounds (221,353 kilograms). 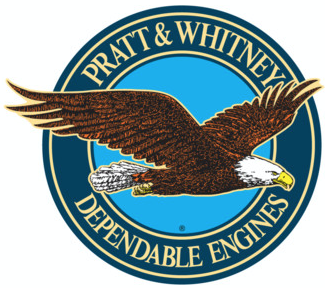 The most significant difference between the B-52H and the earlier Stratofortresses is the replacement of the eight Pratt & Whitney J57-series turbojet engines with eight Pratt & Whitney Turbo Wasp JT3D-2 (TF33-P-3) turbofans, which are significantly more efficient. 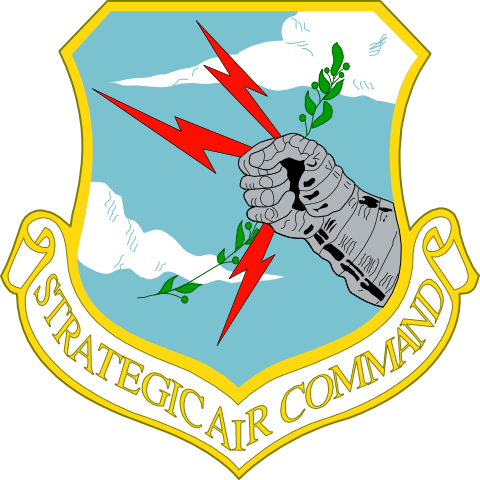 They are quieter and don’t emit the dark smoke trails of the turbojets. The TF-33 is a two-spool axial-flow turbofan engine with 2 fan stages, a 14-stage compressor section (7-stage intermediate pressure, 7-stage high-pressure) and and a 4-stage turbine (1-stage high-pressure, 3-stage low-pressure). 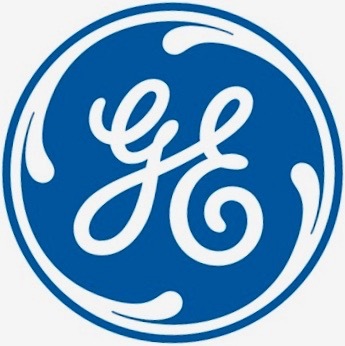 Each engine produces a maximum of 17,000 pounds of thrust (75.620 kilonewtons). 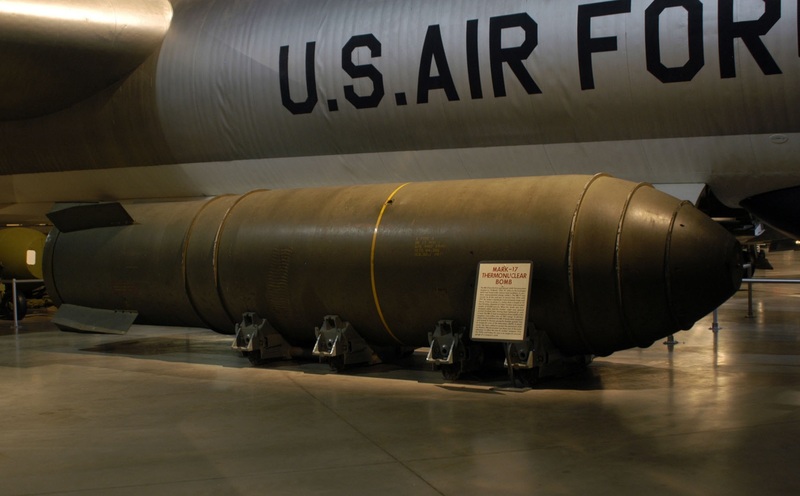 The TF33-P-3 is 11 feet, 10 inches (3.607 meters) long, 4 feet, 5.0 inches (1.346 meters) in diameter and weighs 3,900 pounds (1,769 kilograms). 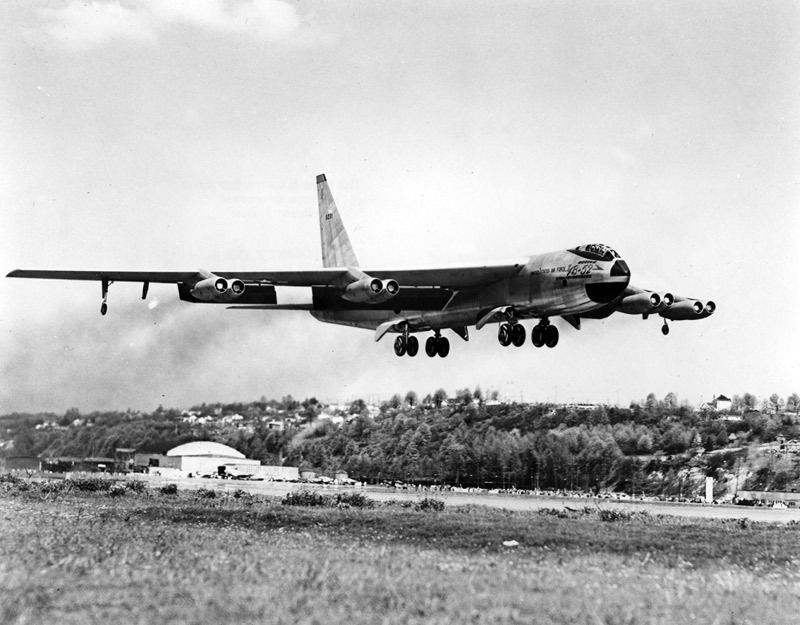 The B-52H has a cruise speed of 525 miles per hour (845 kilometers per hour). 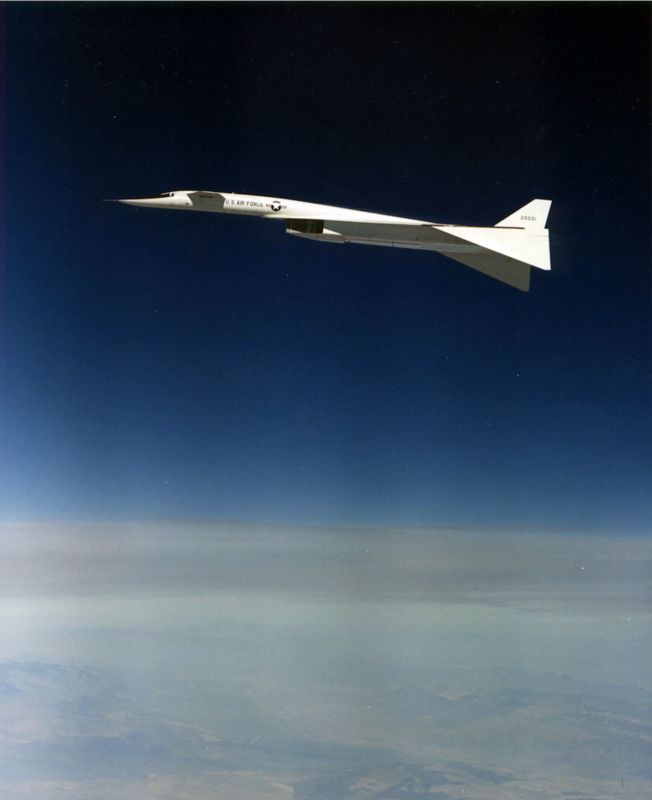 It has a maximum speed of 632 miles per hour (1,017 kilometers per hour) at 23,800 feet (7,254 meters)—0.908 Mach. 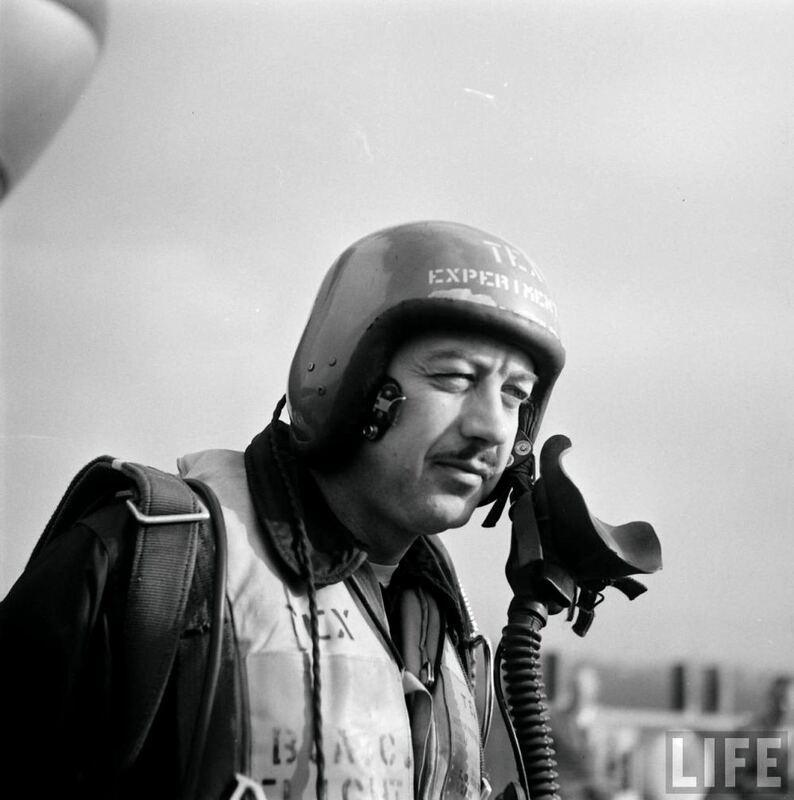 The service ceiling is 47,700 feet (14,539 meters). The unrefueled range is 8,000 miles (12,875 kilometers). 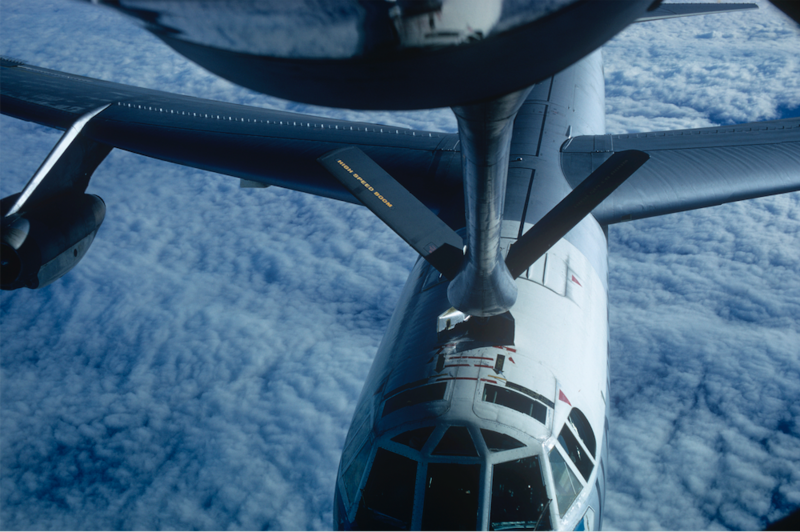 With inflight refueling, its range is limited only by the endurance of its crew. 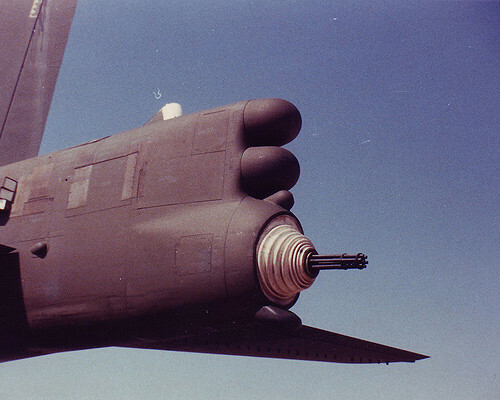 The B-52H was armed with a 20 mm M61A1 Vulcan 6-barreled rotary cannon in place of the four .50-caliber machine guns of the earlier variants. The gun was removed after 1991. 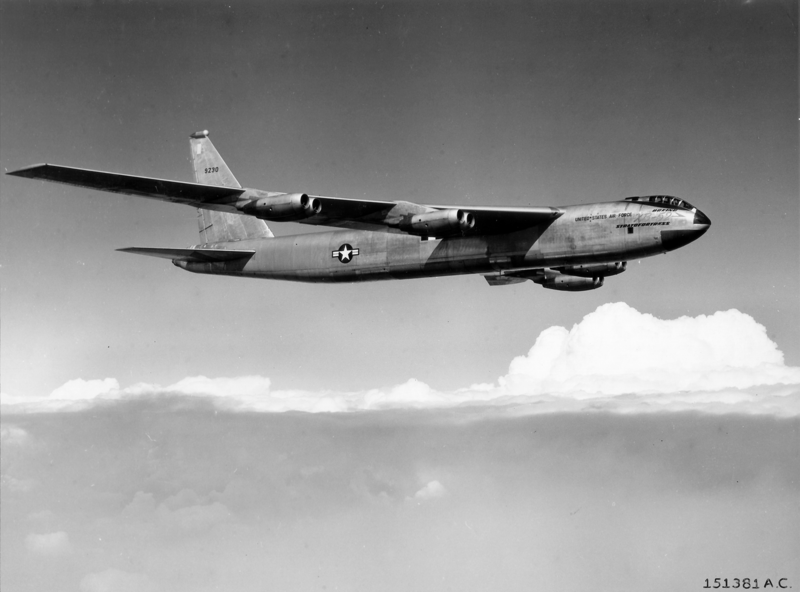 The first of 102 B-52H Stratofortresses entered service on 9 May 1961. 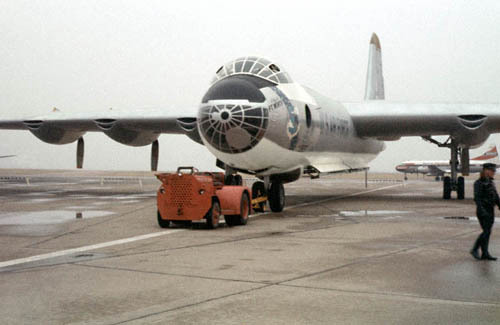 The last one, 61-0040, was rolled out 26 October 1962. 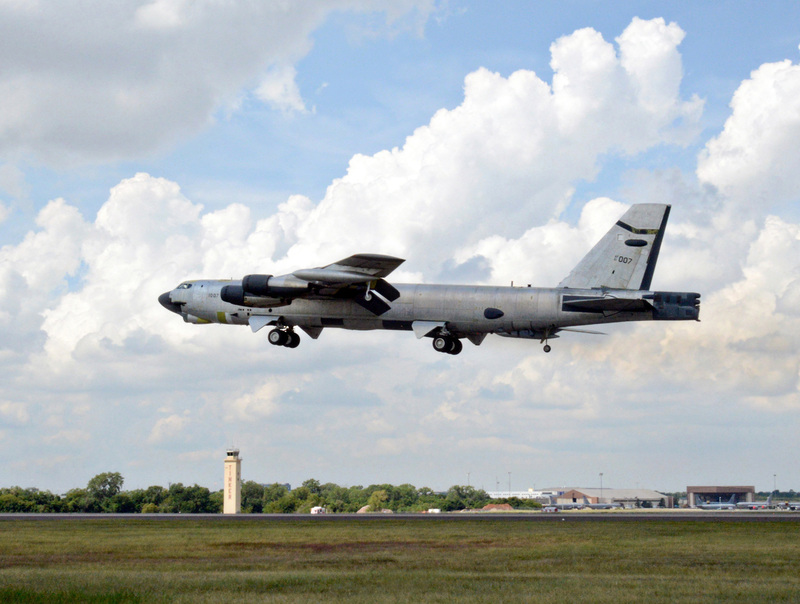 Beginning in 2009, eighteen B-52H bombers were placed in climate-controlled long term storage at Tinker Air Force Base, Oklahoma. 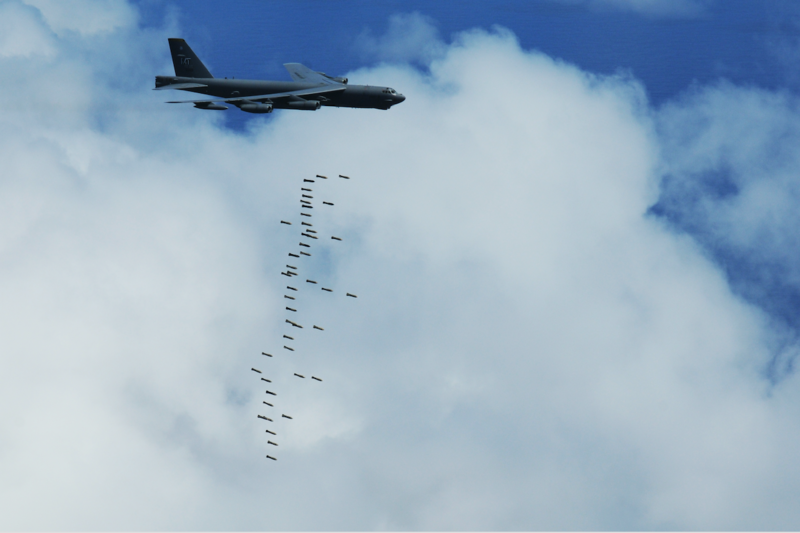 As of December 2015, fifty-eight of the bombers remained in the active fleet of the United States Air Force and eighteen are assigned to the Air Force Reserve. 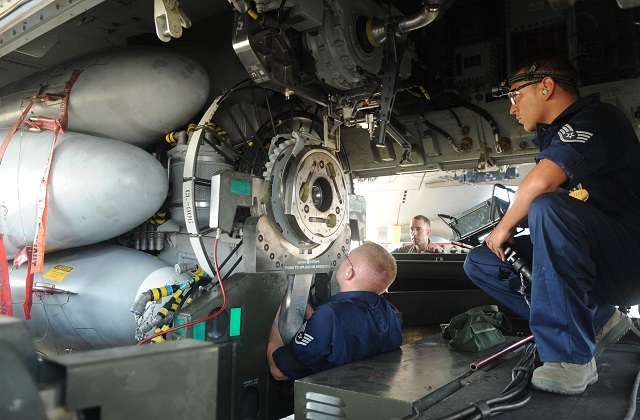 In 2014, the entire fleet began a major avionics upgrade. 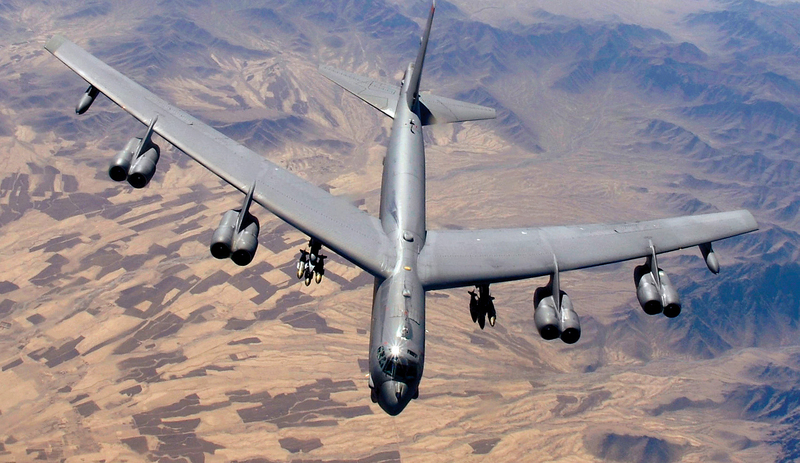 The B-52H is expected to remain in service until 2040. 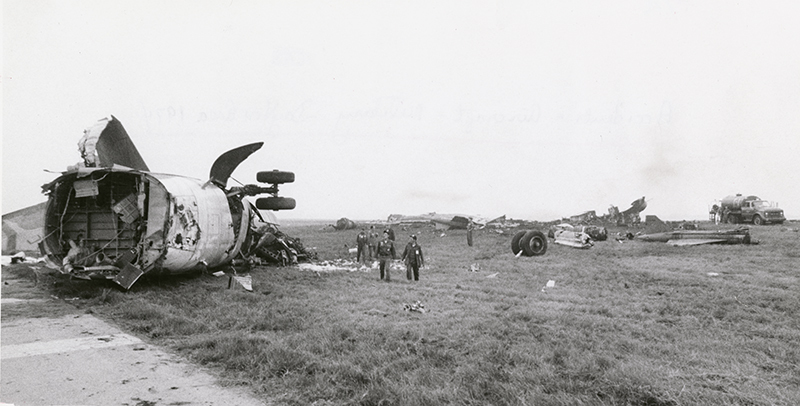 60-0006, the first B-52H to fly, crashed while making a ground-controlled (GCA) approach to Wright Patterson Air Force Base, Dayton, Ohio, at 2:07 a.m., 30 May 1974. 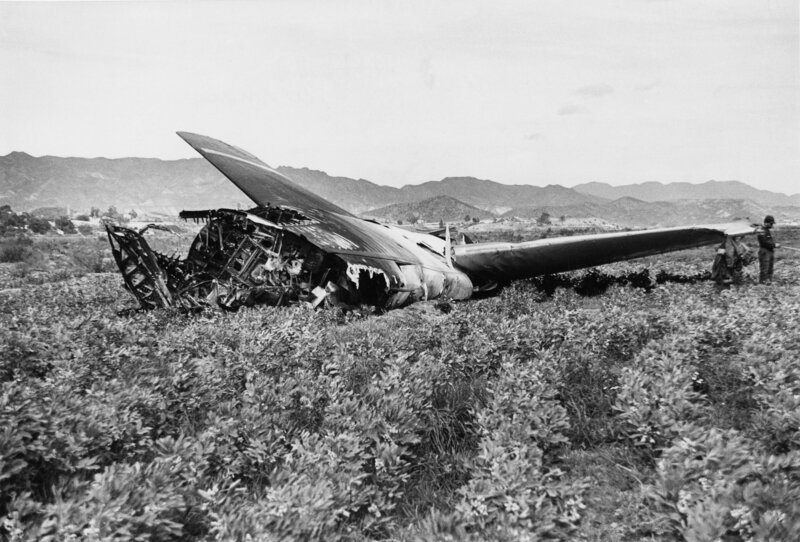 The bomber’s rudder and elevators failed. 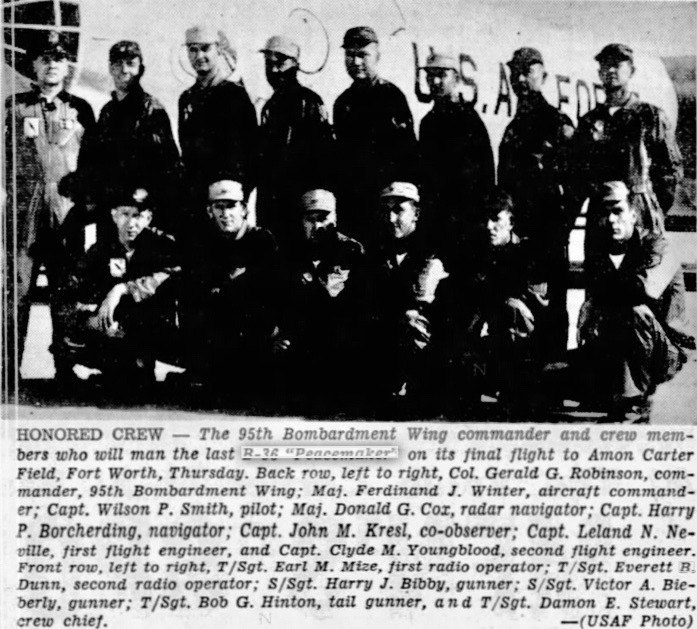 Although 60-0006 was destroyed, all seven airmen on board, Captains Charles Brown, Robert E. Smith, William G. Heckathorn, Paul C. Hoffman, 1st Lieutenants John D. Weaver, James R. Villines, and 2nd Lieutenant Robert E. Pace, survived the accident without serious injuries.